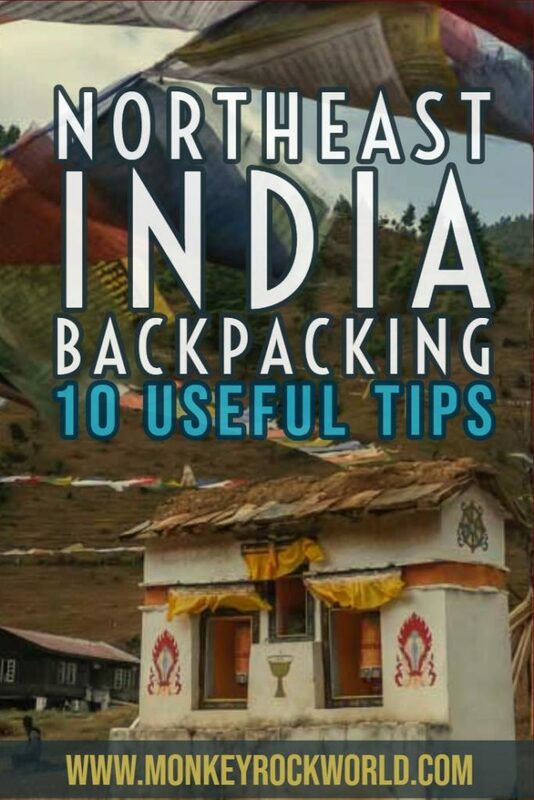 Backpacking Northeast India should be on top of any unexplored India bucket list. The region, affectionately called “Seven Sisters”, is actually made up of 8 states — Assam, Arunachal Pradesh, Meghalaya, Tripura, Mizoram, Manipur, Nagaland and Sikkim — which are truly diverse not only from the rest of mainland India, but from each other as well. It is absolutely one of our favorite regions of India, together with the hill stations in the North. Whether you are craving an animal encounter with the rhinos of Kaziranga in Assam, or explore ethnic minorities in Nagaland and Manipur, you’ll have the time of your life. 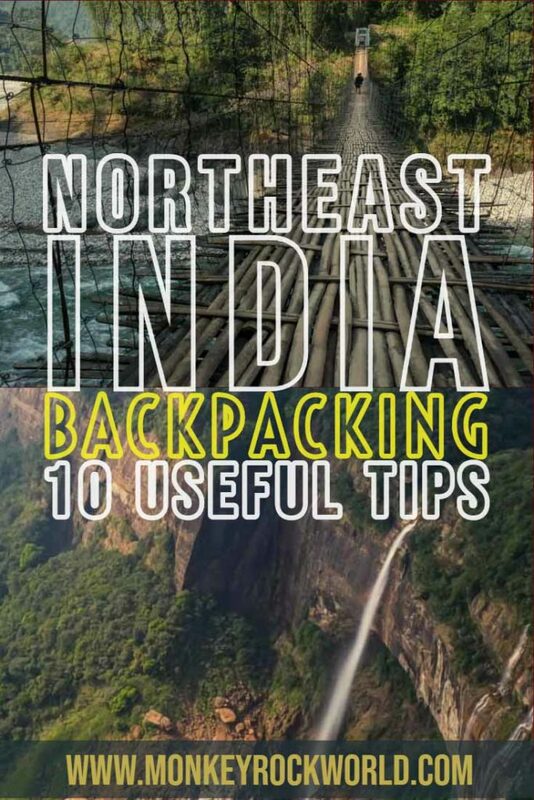 These are 10 essential tips for backpacking Northeast India we think you should know before you go. PIN ME TO YOUR PINTEREST BOARDS! Even if there have been quite a lot of improvements since the first time we visited in 2012, Northeast India is still a developing region and the status of its roads really shows it. To give you an example, to ply the 60km between Dimapur and Kohima in Nagaland by local bus took us about 3 hours. Yes, 3 HOURS. 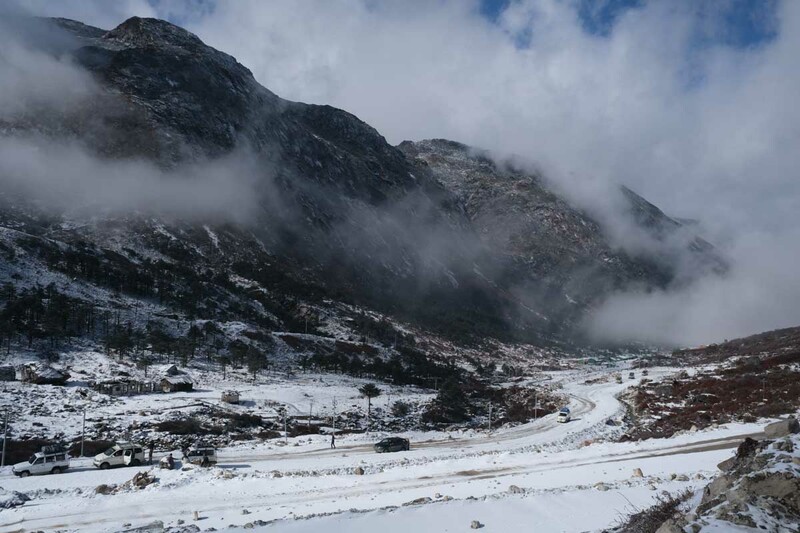 In Arunachal Pradesh, apart for the new road connecting Tezpur to Tawang and the newly paved roads around Pasighat, the mountain roads are in very bad shape and it really takes hours to get anywhere. You must factor this into your itineraries, avoiding to pack too many activities/places to visit in Northeast India in a short time. In other words, if you have two weeks in Northeast India, you probably better concentrate on a couple of states, or you’ll end up spending most of your time inside a cramped shared jeep (what they call “sumo” around here). Northeast India spans from Tibet to Bangladesh and the Myanmar border. Even if it is mostly a mountainous and hilly region, it also has the Brahmaputra plains of Assam, which can get really hot. You must consider carrying at least two sets of clothes, one for the mountains, and one for warmer temperatures. The towns of Assam can be scorching hot during the day even in December, and the more you proceed up the mountains, the more you’ll get freezing. Most hotels don’t have heating besides some electric stoves — which are not ideal to keep on at night, as they release carbon monoxide. Be prepared to use thick blankets and spend some chilly nights. 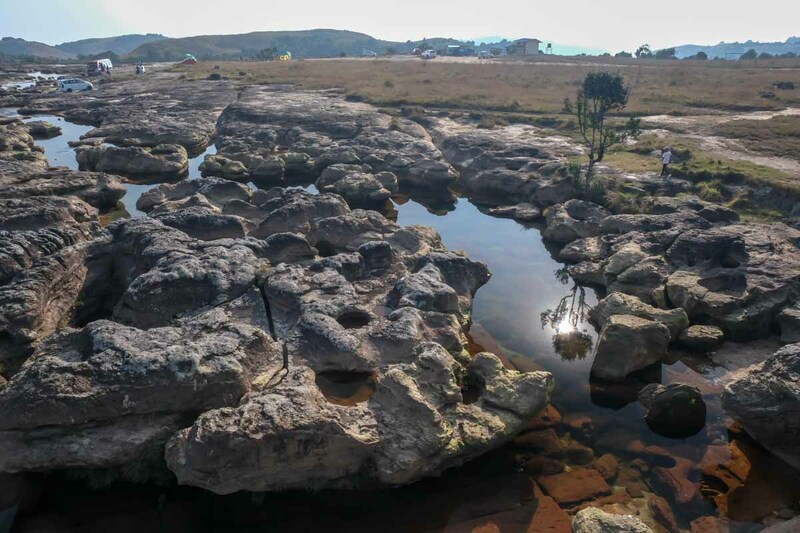 If going to Meghalaya, consider that it can be humid and rainy even in the dry season, and you’ll need to pack a rain poncho at the very least, especially if planning to rent a motorbike and explore at your own pace. What are some of the best places to visit in Northeast India? – Check our 21 suggestions. Until 2012, Northeast India was virtually closed to foreigners who needed expensive permits to visit every state. Now the situation is much more relaxed, and you are required to acquire only a Protected Area Permit (PAP) to visit Arunachal Pradesh. It costs 50$, lasts for a month, and allows multiple entries into the state. So, for example, you can use it to visit Tawang, and then return to Assam — the fastest land route — before using it again to re-enter Arunachal Pradesh at Itanagar, from where sumos proceed to Ziro, Along, and other places. At current, you can’t apply for a PAP online as Indians can do, but you can do so relatively hassle-free in Guwahati. Indians also need Inner Line Permits to visit Nagaland and Mizoram, while nobody needs permits to visit the other states, including Manipur, which just recently opened its border with Myanmar. So yes, it’s now possible to travel independently between India and Southeast Asia — but you must still arrange a permit and a convoy of vehicles if traveling with your own car or motorbike. India is probably one of the world’s cheapest countries, but being a sensitive border region with limited infrastructure for decades, Northeast India is sensibly more expensive than the rest of the Subcontinent. This is especially true of accommodation and transport: the most used vehicles are shared Tata Sumo jeeps which are the best to ply the rutted roads of Arunachal Pradesh and Nagaland. Sumos consume more petrol, and hence, this is reflected in the price of your tickets. The train system is convenient, but it’s quite limited: it only connects Assam’s capital Guwahati to Dimapur in Nagaland, touching only the major cities in Assam. Buses are widespread and the cheapest option, but state-run coaches are often so old and battered you’d probably want to avoid catching them. On top of that, on certain popular routes, like Kohima to Imphal in Manipur, it’s hard to get tickets and you can’t book in advance. For this reason, most travelers, especially if short on time, opt for taking a tour with a driver. This may make prices soar a bit, but will also give you flexibility and the benefit of time. Throughout Northeast India, the locals go to sleep as early as 9 pm, and wake up as early as 5 am. Since transport leaves early in the morning to accommodate this habit, and given that most often there are only one or two daily departures, you’ll have to stick to local times. On top of that, if traveling in Autumn — the driest season to visit Northeast India — it’ll be pitch black by 5 pm. Waking up early is vital to be able to make the best out of every day, explore, and enjoy the outdoors. In the evenings, unless you are in a major city like Guwahati, Shillong, or Imphal, there’s not much to do anyways. In places like Tawang, Pasighat and others, there really is nothing much to do after sunset, so deciding to sleep early can just be the perfect option for any backpacker. For the same reason, remember to have dinner early enough, because outside the cities, restaurants can close by 6 pm. The best time to visit Northeast India is between November and the end of April, before the rains kick in. Traveling in the wet season is not recommended, because it really rains a lot, which makes roads impassable, and days very long and hard to kill. Each state has its best season to visit, as well: for example, Arunachal Pradesh becomes freezing by early December. 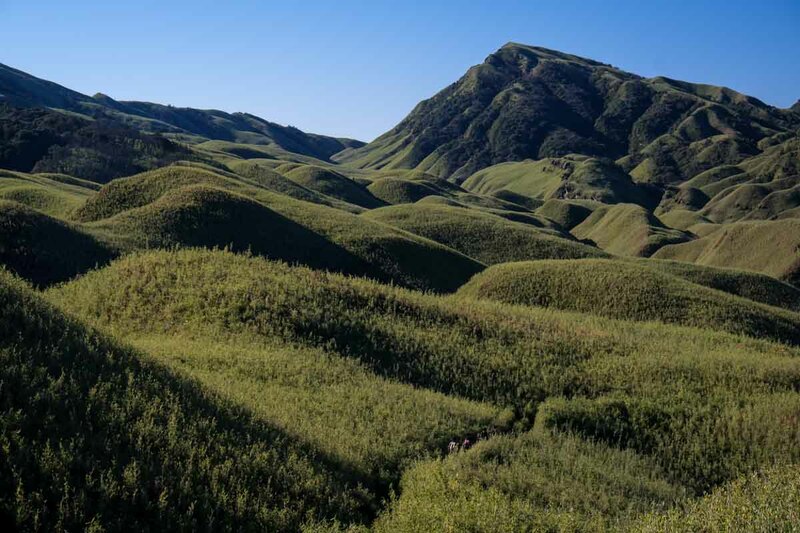 The hills of Nagaland, likewise, get cold in January, and going to cap in places like the Dzukou Valley not recommended. As a general suggestion, stick to Assam, Tripura, Manipur and Mizoram from December to March, and visit the hills of Nagaland, Arunachal Pradesh and Sikkim in November and from March to May. Northeast India is possibly India’s richest tapestry of ethnicity and religions. From the Buddhist towns of Arunachal Pradesh to the Hindu villages of Assam, the Catholicism you’ll find in Nagaland and Meghalaya, or the pagan Apatani tribe with their Donyi-Polo beliefs, you’ll travel through some very diverse cultural landscapes. 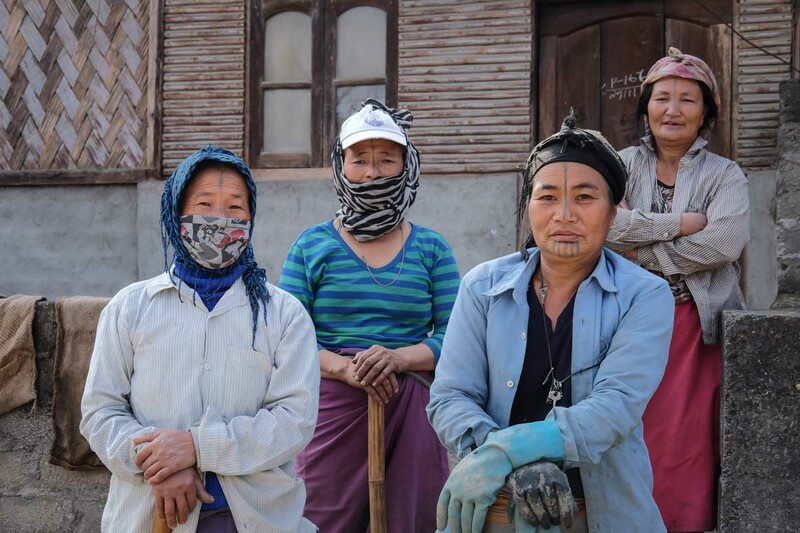 The trick is to respect and be open to whatever you’ll find: as the region has been inhabited by very diverse group originating from as far as Tibet and Burma, you’ll encounter all this diversity in your travels throughout the region. Cultural sensibility and adaptation is a must. If you have done any amount of traveling in India, you may arrive in the Northeast with some wrong assumptions and stereotypes. You may have been conned in Varanasi, yelled at in New Delhi, or stressed to death in Khajuraho, but please come to Northeast India with an open mind and a different set of expectations about what India can offer you. The Northeast, indeed, would deserve to be a country in its own right: it’s so much different from the rest of India you’ll have trouble believing you are actually in the same country. People in the Northeast are invariably kind, respectful, open, and won’t necessarily try to scam you at every turn. In Arunachal Pradesh, Nagaland, Meghalaya and Manipur, the locals will even don’t look like Indians at all — more like people from Southeast Asia and Tibet. Come with a clear, free and open mind, and don’t bring your bad India experiences to the Northeast, which truly is a different world from the rest of the Subcontinent. Following the increase in tourism and related activities, Northeast India is a great place to travel for cool festivals. Whether you are looking for music or culture, you’ll be satisfied: besides popular ethnic festivals such as the Hornbill Festival of the Nagas, held in Kohima at the beginning of December, and among the top festivals to see in Asia, you can head to Ziro for its annual Music Festival held at the end of September. 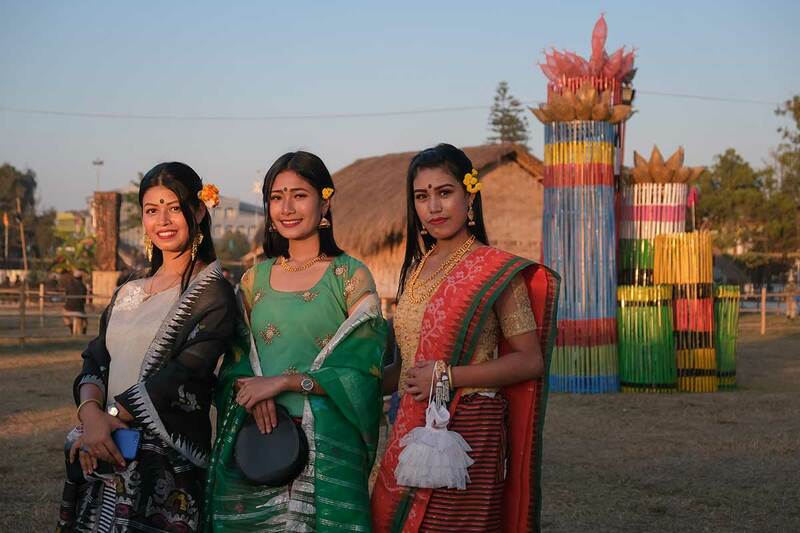 For more local culture, the Sangai Festival in Manipur, held right before the Hornbill Festival in the last 10 days of November, is a great showcase of traditional dances, modern music and events, and a lively expo of international sellers. And if it’s mystic Tibetan traditions you’re after, the Tawang Festival and the cham in Bomdila are also well worth visiting. In Assam, the colourful masked dances of the bhaona enliven Majuli island, and there are several Tibetan Buddhist celebrations in Sikkim, too, among which colourful Losoong and the Phang Lhabsol. Northeast India is a land of uncertainties: your transport may break down, or not run at all on a given day. You may get stuck somewhere. You may meet people who’ll make you stay longer in a particular place. 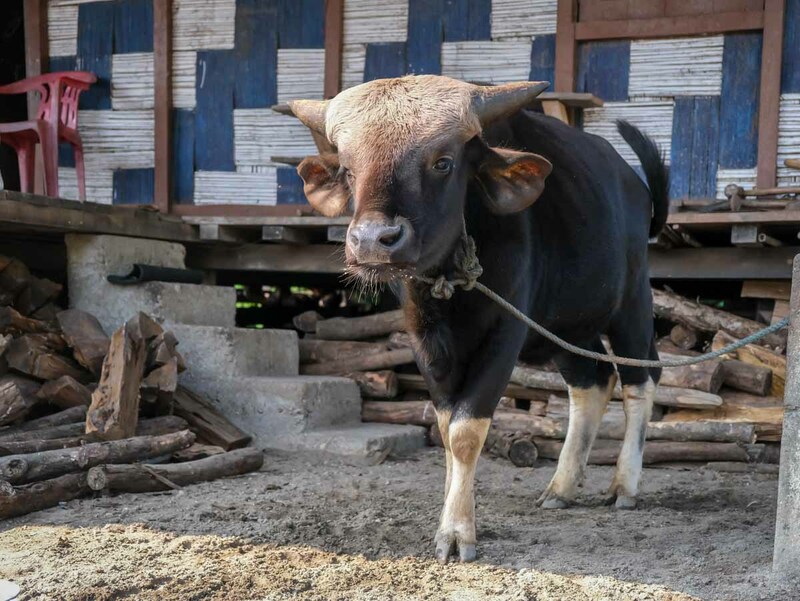 We have recently spent a month backpacking Northeast India, and we found it overall quite OK in terms of infrastructure, but we also had quite a few headaches when trying to plan transport. Just relax and go with the flow. We recommend you pack a tent, sleeping mat and sleeping bag, because this way you’ll always be able to bunk down somewhere. Locals are generous, and most often will help, but it’s always better to come prepared for the worst with your own stuff. Did you like this article? Please add it to Pinterest! YES SIR, I WANT IN.